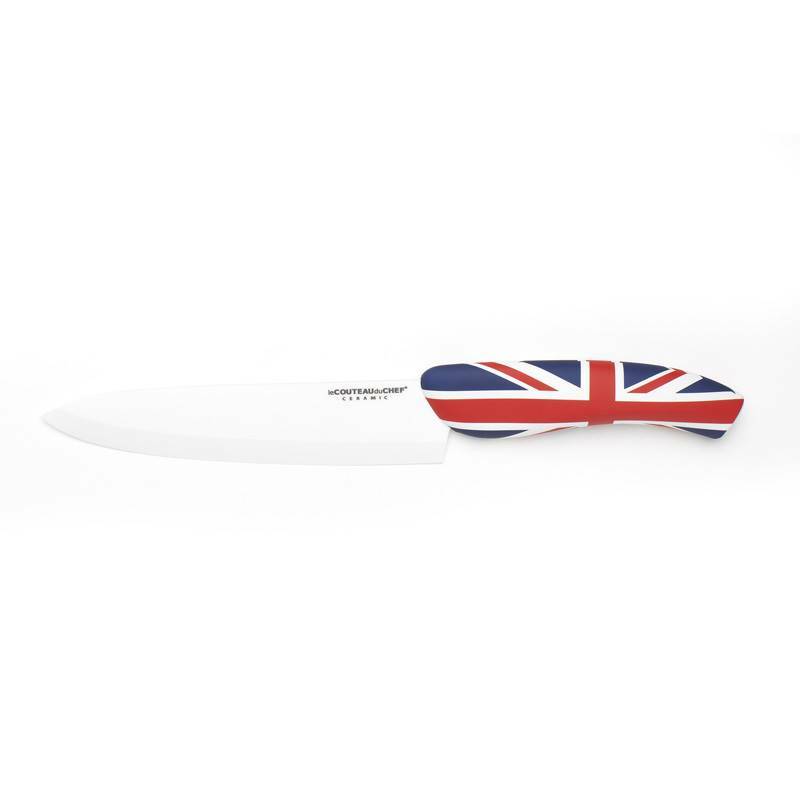 The Pays range offers a series of knives showing white ceramic blades and handles decorated by different countries’ flags. 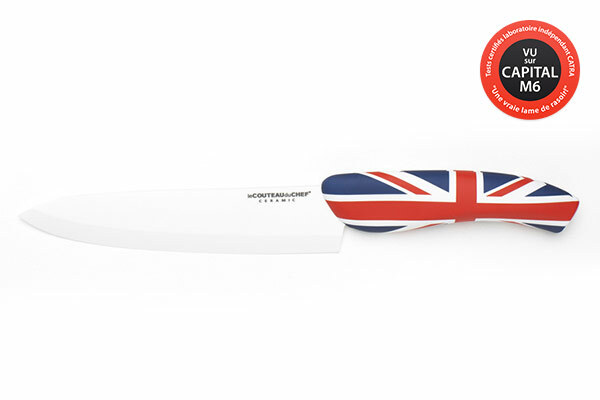 This design chef knife, so different from the other knives, bears here the colours of the Union Jack, for an appealing aesthetics. 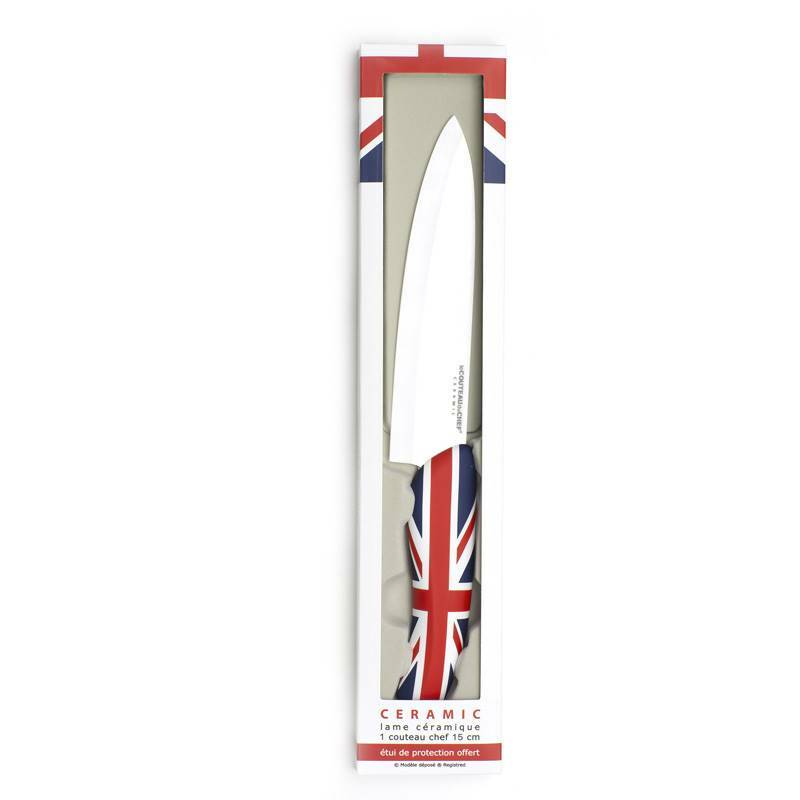 The ceramic knives signed TB are renowned for their amazing cutting power. 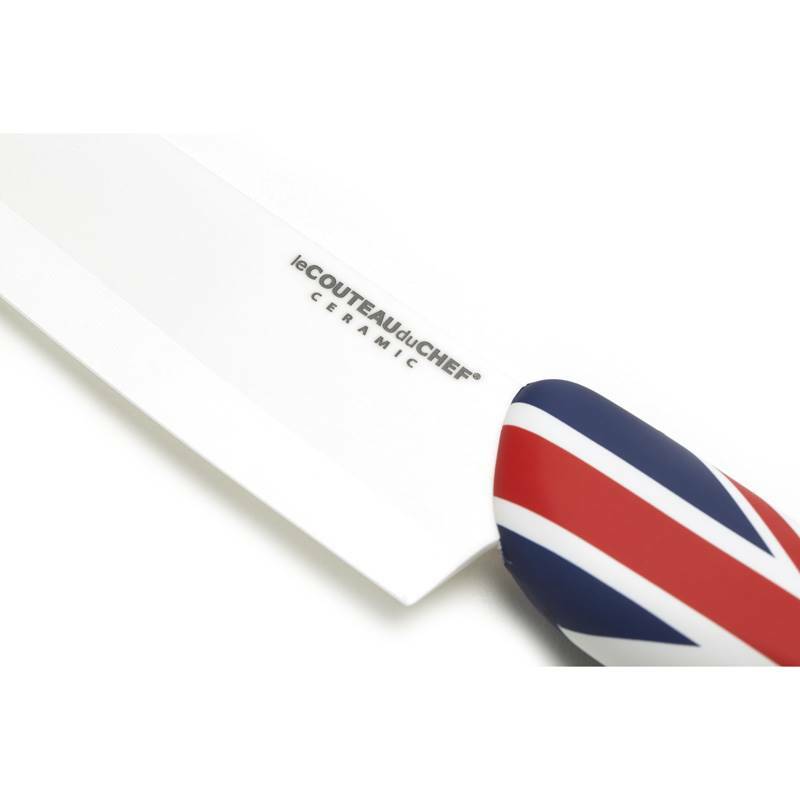 This chef knife here confirms this fame. Bestowed with a white ceramic blade, rich in zirconium oxide, it has an exceptional hardness and a breathtaking sharp edge. 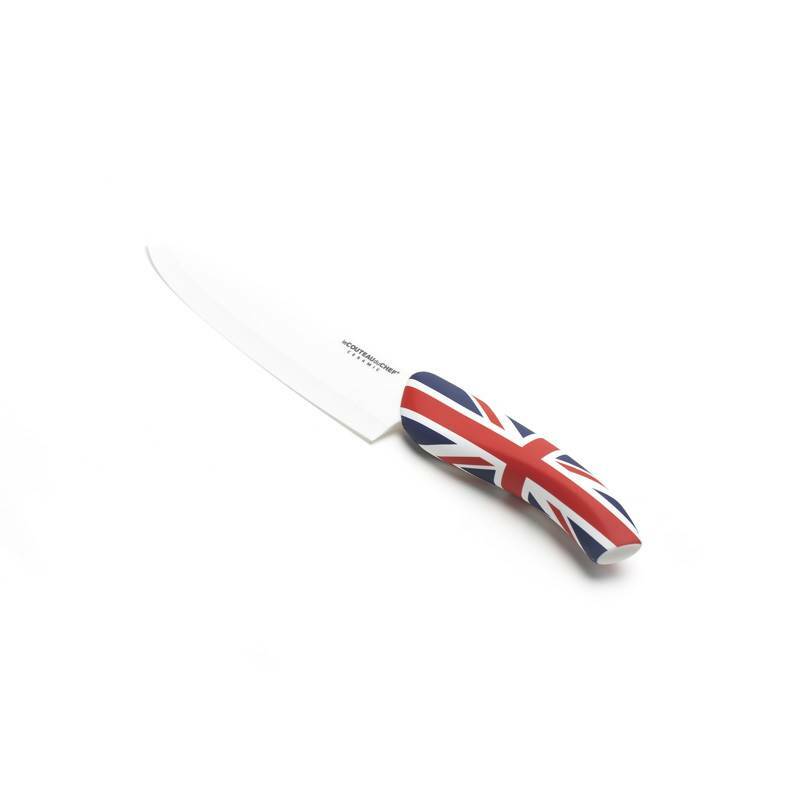 It has to be used on a wooden or plastic chopping board to preserve the blade.